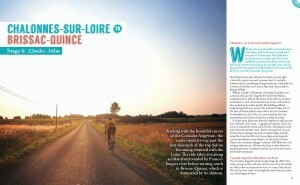 See also book microsite for France en Velo. Cover illustration by Neil Stevens Crayonfire. 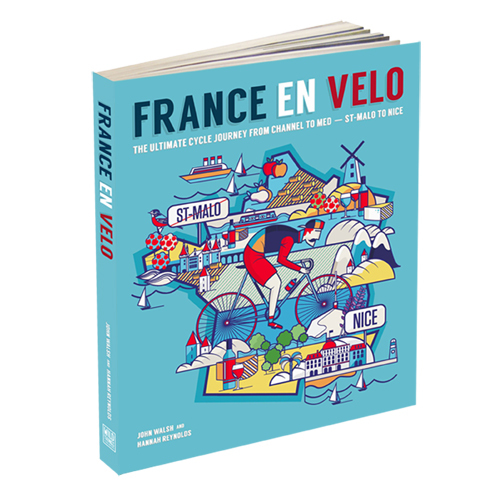 In this beautifully illustrated guide to cycling across France you will discover hidden lanes, stunning gorges, amazing places to eat and stay, plus the best of French cycling culture. 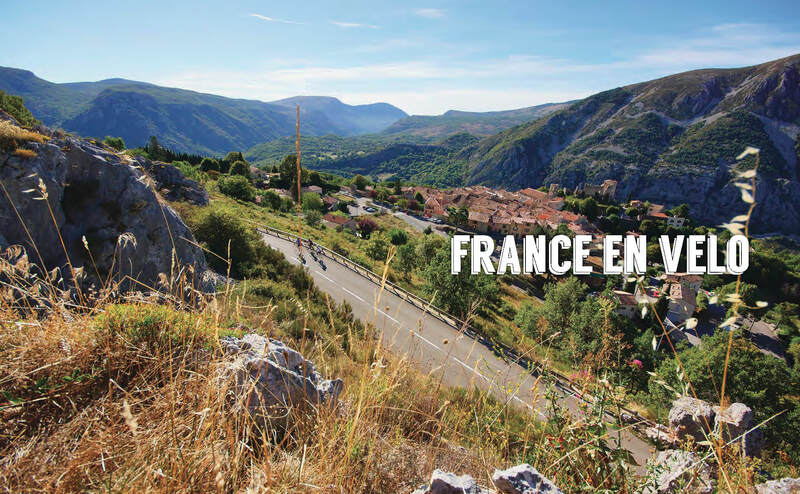 This iconic journey of 1000 miles takes you through 19 of France’s regional départements and into some of the country’s most striking and dramatic landscapes, helping you to discover the true heart of rural France. 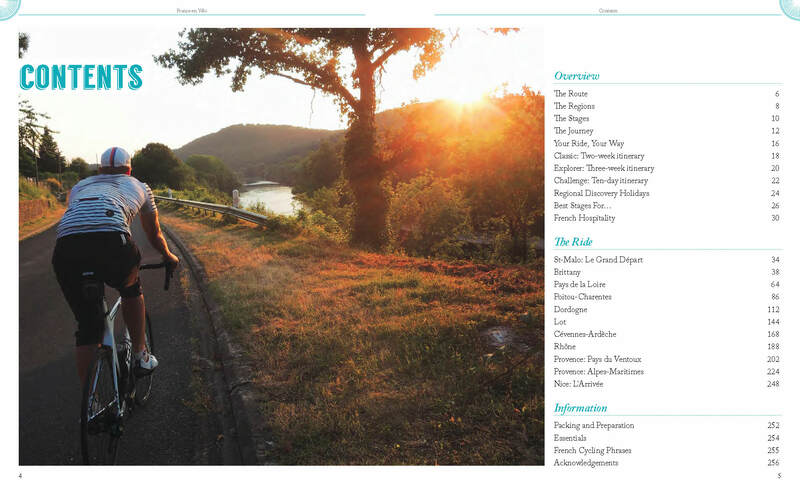 Cycle one stage, dip into one of the mini itineraries, or complete the entire distance. Carefully designed maps and digital route information, provide not just essential details but also reveal the hidden secrets of the areas through which you are passing. RIDE under the watchful gaze of Mont Ventoux. ENJOY the varied terroir of local artisan foods. SAMPLE the wines of many famous vineyards. BATHE in secluded wild swimming spots. PICNIC in the long sunny afternoons. RELAX and join French café culture. This beautiful book will help you find the best restaurants, local markets and artisan food sellers – discover delicious specialities of each region. filled chambres d’hôtes offering the perfect places to relax after your days riding. Supported by downloadable route information. Read stories and reviews from those who have ridden the route here. Hannah Reynolds is Fitness Editor for Cycling Weekly, Cycling Active and Cycling Fitness magazines. She is coauthor of Bloomsbury publications “Fitter, Faster, Further”, a guide to sportive preparation and “Get on your Bike”, and introduction to how to stay safe, get fit and be happy cycling. 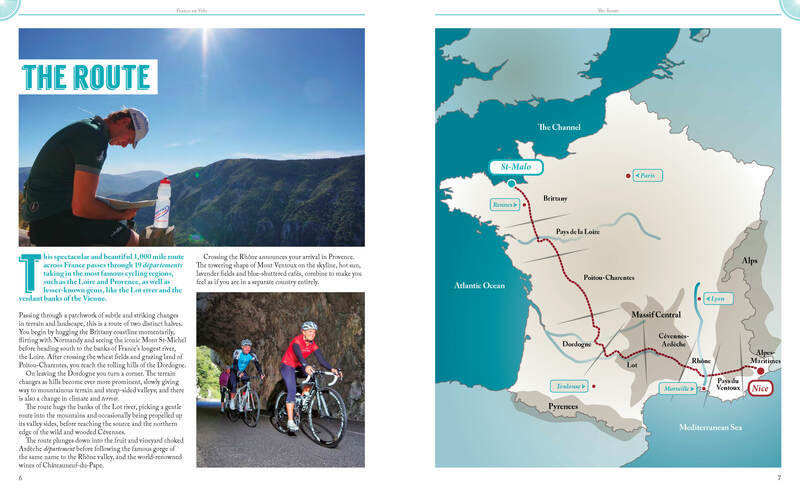 John Walsh designed the first St-Malo to Nice epic in 2010 for Saddle Skedaddle, the UK’s largest independent cycle tour operator. An experienced guide and expert on France, he has guided all over the world, from the challenges of Bolivia to the exotic beaches of Costa Rica. Cover illustration by Neil Stevens Crayonfire. 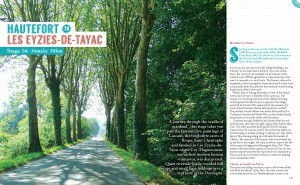 See also book microsite for France en Velo.